Imagine two doors. Behind the first door is a scenario where your money outlasts you. Through this door lies all financial happiness, independence, and dignity. Door number one also offers the ability to meaningfully participate in the lives of your children and grandchildren and to leave legacies to family and organizations dear to you. Behind the second door is where you outlive your money. Through this door lies financial misery through a lack of independence and dignity. The door you go through is determined by the type of retirement plan you create, and that plan is based on your budget. To ensure that you have a plan that lets you walk through door number one when you retire, we begin with your budget. To prepare for a retirement that will last decades, you must know how much money is coming into and out of your life now. Once these numbers are quantified, and the picture becomes clear, you will get a sense of how much it will cost you to live each year of your retirement. So, based on the amount of money you currently have invested, will sustainable distributions cover your living costs? If yes, great; if not, it’s time to determine how much more you’ll need to invest from now until you retire in order to meet, if not exceed, these numbers. Now with your expenses determined, as well as a savings goal calculated, the design of your portfolio comes next. Comprising a portfolio primarily of globally diversified equities has historically provided returns which offer the highest probability of success. While the volatility of stocks may not be comforting, it’s important to remember that we are planning to go through door number one, where your money outlasts you; and in a rising cost world, fixing your income is financial suicide. So how do you mitigate market declines during retirement? Your instincts may lead you to some of the options mentioned above. While moving all of your money into annuities, money markets, or short-term bonds may seem like a safe solution; this strategy comes with other risks. Participating in an all-cash sinking fund, spending down your cash over your life expectancy is also a risky proposition. To combat inflation, gain returns, and walk through door number one, a globally diversified portfolio of equities provides the best approach for most people. Historically, this strategy has given investors two to three times the long-term returns of bonds when you factor in the effects of inflation. While stocks can be volatile, it is important to know that history has proven volatility to be temporary. 2* Building a portfolio comprised of bonds for the next 30 years could permanently reduce your returns, in exchange for a reduction in the temporary downside of volatility. When considered in this context, basing your retirement solely on the performance of bonds over stocks, logic points out that this is an irrational decision. Lisa Greenwald, Craig Copeland, and Jack VanDerhei, “The 2017 Retirement Confidence Survey—Many Workers Lack Retirement Confidence and Feel Stressed About Retirement Preparations,” EBRI Issue Brief, no. 431 (Employee Benefit Research Institute, March 21, 2017). Azzarello, Samantha M, et al. “Guide to the Markets,” J.P.Morgan Asset Management, March 21, 2018. *See source which demonstrates the long-term performance of the S&P 500 versus the long-term performance of long term corporate bonds (both shown net of inflation). Any opinions are those of Leo Abel & Drew Hall and not necessarily those of RJFS or Raymond James. The information contained in this report does not purport to be a complete description of the securities, markets, or developments referred to in this material. Investments mentioned may not be suitable for all investors. Past performance may not be indicative of future results. Prior to making an investment decision, please consult with your financial advisor about your individual situation. Investing involves risk and investors may incur a profit or a loss. The financial advisors at Abel Hall provide comprehensive wealth management for individuals, families and business owners who require a holistic approach to managing their financial lives. Over the past 20 years, the advisors at Abel Hall have assisted clients in reaching their financial goals through a sound, conservative and unwavering approach to investment and estate planning. 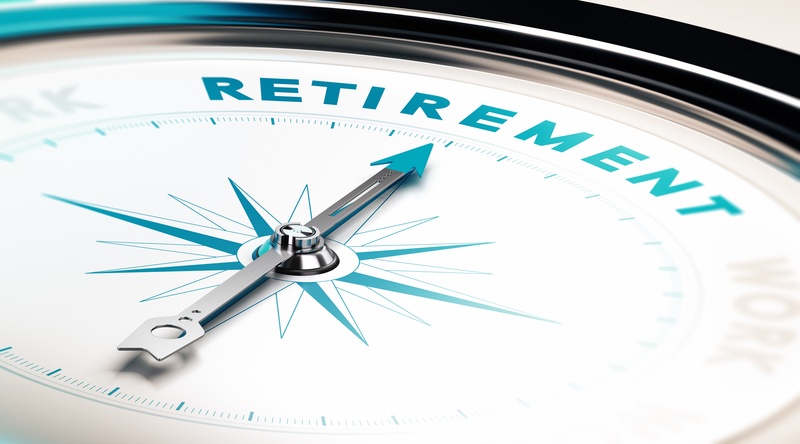 Baton Rouge Retirement Advisors: Do I need Long-Term Care Insurance in Retirement? If So, Why and How Much? Abel Hall and Abel Financial Services Inc. are not registered brokers/dealers and are independent of Raymond James Financial Services, Inc.
Investment advisory services offered through Raymond James Financial Services Advisors, Inc.
Securities offered through Raymond James Financial Services, Inc., Member FINRA/SIPC. © Copyright 2018 Abel Financial Services, Inc DBA Abel Hall. All rights reserved. Abel Financial Services Inc. (DBA Abel Hall Family Wealth Partners) is a trusted financial planning practice. Check the background of our investment professionals on FINRA’s BrokerCheck. Raymond James financial advisors may only conduct business with residents of the states and/or jurisdictions for which they are properly registered. Therefore, a response to a request for information may be delayed. Please note that not all of the investments and services mentioned are available in every state. Investors outside of the United States are subject to securities and tax regulations within their applicable jurisdictions that are not addressed on this site. Contact your local Raymond James office for information and availability. Raymond James Privacy Notice. Links are being provided for information purposes only. Raymond James is not affiliated with and does not endorse, authorize or sponsor any of the listed websites or their respective sponsors. Raymond James is not responsible for the content of any website or the collection or use of information regarding any website’s users and/ or members.